You are about to do a presentation and spend the night with memorizing and studying the text? It is good to rest your mind at least six hours sleep a night. According to a study published in the journal Learning and Memory, sleep help sharpen memory. Sleep helps the brain collect and organize information, so they can get back to you with care. So, try it immediately! All kinds of nuts are rich in magnesium, minerals that serve to improve the short-term memory and long term. Handful of almonds or other nuts can provide 25 percent of your daily magnesium needs. According to researchers from the Massachusetts Institute of Technology and Tsinghua University, magnesium seems to encourage the involvement of new networks between brain cells. Not a way to add a pizza, but eating fish, vegetables, olive oil and sprinkled with a little meat and wine. Along with aging, the brain begins to have difficulty thinking and remembering. But, research shows, people who apply the Mediterranean diet 36 percent lower risk of experiencing damage. Blueberry helps to keep the brain sharp. 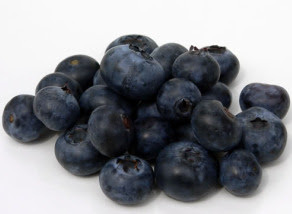 A study published in the Journal of Agricultural and Food Chemistry found anthocyanins-rich fruits (antioxidant source of bright blue color in blueberries) have encouraged the communication of neurons in the brain. This function helps delaying memory loss. Life is busy, according to a study from the University of Rochester, can make you very nervous, so the brain cannot receive new information. Frank Felberbaum, president of Memory Training Systems in New York City, recommend you to take a deep breath in on a regular basis. In addition to inhale deeply, walking outdoors and yoga also calms the mind. Practice the skill of words, according to a study published in Neurology can prevent memory loss. Try to provide the books containing the crossword puzzle and take the time to sharpen your brain every day.